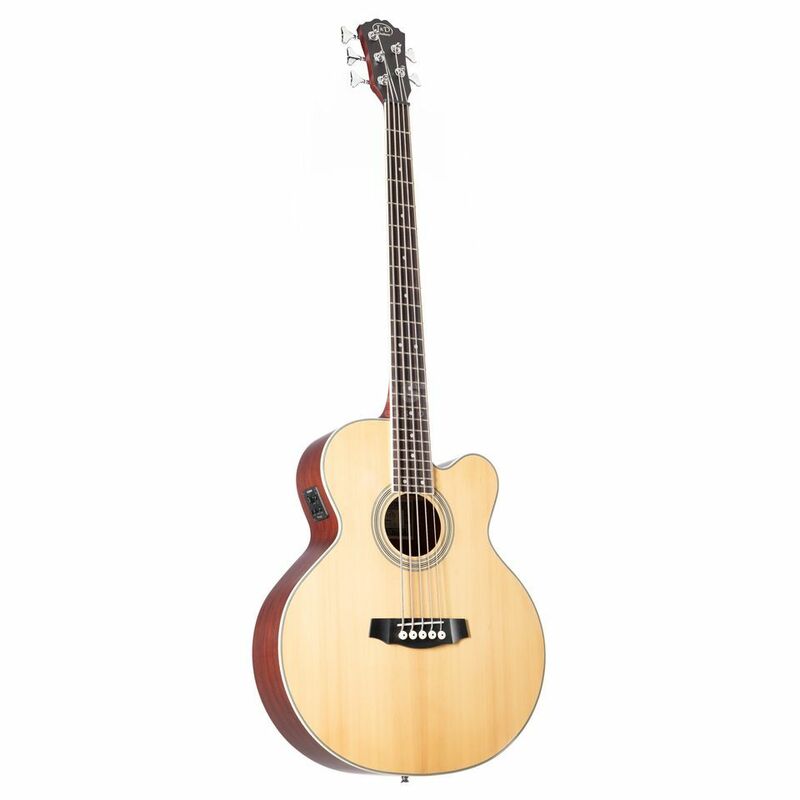 The J&D ABG-5C 5-String Electro Acoustic Bass Guitar Natural offers the player a remarkable vintage acoustic bass tone at a very affordable price. The ABG-5C has been constructed using Mahogany back and sides with a Spruce top and a Maple neck layered with a Rosewood fretboard. The J&D ABG-5C also has a built in active pickup system which gives the player more options in terms of tone adjustment when plugged into an amplifier. ABG-5c is a good buy for anyone who is beginning to learn or play bass, has an average sound for amateur recording but serves perfectly to start. Rather Fragile, handle with care. fast shipping in perfect condition, I am satisfied. That never was a reality for the bassist, no. When I bought this one a few years back, it costed around 220 euros. It's great for practice, after playing this for a week you get your hands on an electric bass and it all seems easy, and it's great for fun, but it really doesn't sound well on a professional setting (either studio or live). Now it's at around 170 euros, i still recommend it for the lack of options. Its really a BIG bass guitar. Maybe you can have difficult finding case or bag for it. Workmanship is good, but not perfect. Strings were set too low so they were buzzing on frets. I had to raise them. Very playable instrument, good sound (not too loud as you might expect regarding big body) Good sound even on amplifire. I havent tryed it yet on stage, so I dont know how it will behave (feedback?). Summary, very good bass for that money. Its a great acoustic 5 str. Bass. I am using it in recording some music gigs, is a perfect bass for such jobs. This Bass is a fine instrument to play and will be used as acoustic bass sound out in the streets by a trio and a quartet playing for the shows. It has a good sound and its really a great piece to start with. If you wanna learn how to play bass. it gives you a great groove during your gigs. its a bit bigger than expected but once you get used to it you are good to go.